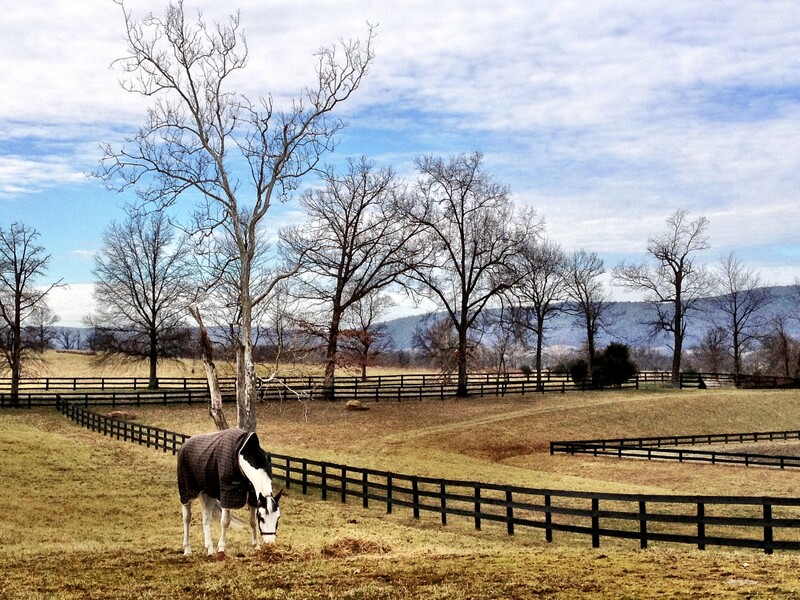 Teddy relocated to Hidden Hollow this week in Upperville, Virginia, for the next step in his education. Now that he’s approaching his fifth birthday it’s time for Teddy to figure out what he wants to be when he grows up. After spending his early years at Jonesborough Farm where he learned the basics and began dressage training, I’d like to see if he has an affinity for jumping. Will he be a show hunter, a jumper or an event horse? We will soon find out. It didn’t take Teddy long to acclimate to his new home. He quickly figured out the reflections in the windows of the indoor arena weren’t horse-eating monsters, he devoured his first Thursday evening bran mash, and enjoyed the turnout field that overlooked the outdoor ring and had a nice view of Blue Ridge Mountain. Teddy is embarking on a new adventure, and I look forward to seeing where it takes us. I think not only Teddy is embarking on a new adventure… He sure have some beautiful surroundings. And seem to enjoy life very much – at least as shown in the picture. A lovely scenery. Sure is pretty Tricia! Fields to run and jump and shade trees in the summer!